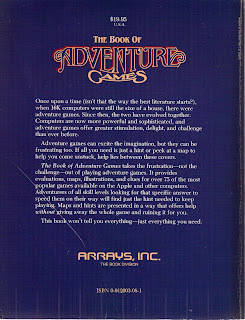 Just for fun, here are the front and back covers from 1984's "The Book of Adventure Games" by Kim Schuette. 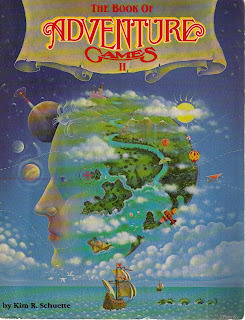 And here's 1985's "The Book of Adventure Games II"! BONUS! 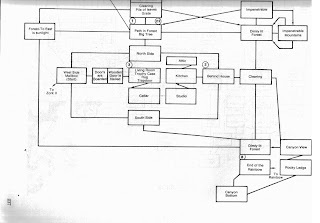 Here's a page from the "Zork" map in the first book. 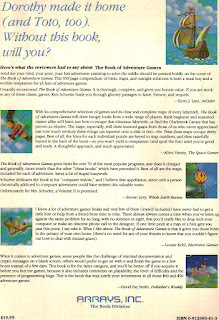 Amazingly, these books cost $20 back in the day. Which seems like a lot. 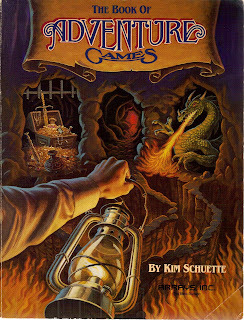 And apparently there was a third entry in this series by Mr. Schuette (turns out he's a guy), but I can't seem to find much about it.